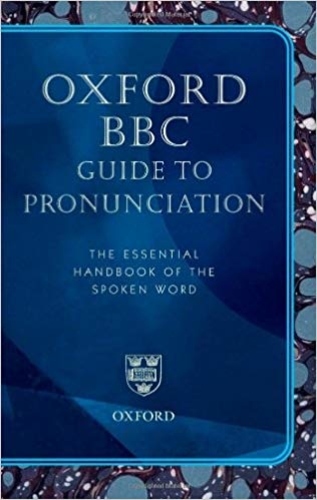 Oxford BBC Guide to Pronunciation, The Essential Handbook of the Spoken Word (Superseding the BBC Pronouncing Dictionary of British Names). The Oxford BBC Guide to Pronunciation is the ideal source for finding out how to pronounce controversial or difficult words and names. Expert guidance is given on how to pronounce 15,000+ difficult words and names, using both the Intenational Phonetic Alphabet and simpler respelled pronunciations. There are notes on individual entries where pronunciation has changed or is disputed, or where there is simply further interesting information. Special panels look at topics such as changes in pronunciation over time or the influence of dialect, and give top tips for pronouncing languages such as Arabic, Chinese, or Spanish. The entries chosen reflect the news and themes of today, and include newly researched material from the BBC's database. The unique combination of the BBC's worldwide expertise in pronunciation with OUP's experience in reference publishing provides a popular and accessible guide to this tricky but fascinating area.